Home » Pensions » Is the USS really in deficit? Is the USS really in deficit? Everybody should keep calm about the universities superannuation scheme. Contrary to sensational press reports last week in the THE, Financial Times and BBC, the USS is not actually in deficit – not in the usual meaning of the word ‘deficit’ anyway. If it were truly in deficit it would not have enough money coming in to pay its outgoings. It would be forced to sell some of its investment portfolio to keep going. But in reality it has an annual surplus each year of about £1.5 billion available for new investments. It has just bought a large stake in Thames Water, for example. The scheme is cash rich and can remain so for many years. Membership is increasing with over 29,000 new members joining last year. What, then is the problem? The headline figures quoted are theoretical numbers based on particular hypothetical assumptions about the future, whose realism is in doubt. Many members, the UCU, some universities and some actuaries are questioning whether they really give a true picture of the health of the scheme. 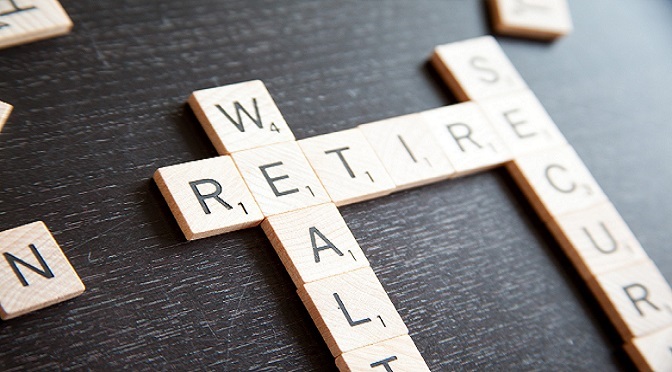 The ‘deficit’ emerges as the difference between the scheme’s assets (its investment portfolio) and liabilities (the value of future pensions benefits). The press reports are sensational because they quote raw figures baldly without any context. The liabilities are estimated to be £72.6 billion, which, with assets of £60 billion, means a shortfall – the ‘deficit’ – of £12.6 billion. Reporting figures like that as raw numbers, expressed as billions of pounds, without putting them in context is misleading. (It is reminiscent of the way that government debt and deficit are reported in absolute numbers in order to frighten us into accepting cuts in public spending.) Given the size of the USS, with almost 400,000 members, it is actually not surprising that the figures are so large. They need to be put in proper context before any conclusions can be drawn. They represent a funding ratio of 83 percent: the assets are currently worth 83 percent of the liabilities. So is that high or low? Compared with the funding levels of the almost 6,000 private UK schemes, of which the USS is the largest, it is not out of line. Its funding ratio is fairly typical. The average for schemes in deficit is 83 percent, according to the Pensions Regulator Scheme Funding Statistics 2007. The BT pension scheme funding ratio is 64 percent. So it is not fair to say, as the FT article claimed, that the USS has the largest gap between assets and liabilities of any scheme in the UK. It is only large because the scheme is very large. While the USS ‘deficit’ is not out of line with other privately funded schemes, we still need to ask where it comes from in the first place and what it means. The main reason for pension scheme deficits – not just USS – is that the accountants tend to insist on an assumption that schemes be invested only in bonds (even though that may not be true). In this they seem to be following a herd mentality and advocating something which is irrational. Why anyone would believe that investing in gilts at the present record low real interest rates, which entails expecting to make a loss, reduces risk is hard to understand. But gilt interest rates have really very little to do with the USS pension scheme. After all, the pensions that members will receive are not paid out of the meagre returns from gilts but the much better returns from the long-term investments the scheme actually has, that it has built up over the years, mostly equities and other high-return assets. Such assets – if held for the long term – yield a high return with minimal risk. The report also gives an alternative figure for the deficit if liabilities are valued using the actual rate of return from its assets but without the large dollop of prudence and without the gilts updating. This ‘best estimate‘ for the liabilities figure is £38.1 billion, which means the scheme would be in SURPLUS by £3.5 billion! Of course the necessary degree of prudence needs to be applied here, but it does show that this is not a scheme that is in trouble. We are due the consultation on the triennial valuation in the next months and it seems likely that the best estimate valuation will have improved. Members should stay calm and insist that the scheme remain open to new members and accrual. The biggest threat to the scheme is closing it.